SD Bullion now accepts Bitcoin for Gold Bullion and Bitcoin for Silver Bullion purchases. The way we do this is by instantly converting received Bitcoins as payment into fiat currency US dollars, and then using those USDs to pay our overhead and continue to offer physical bullion products to our customers. We are neither going long nor shorting Bitcoin. 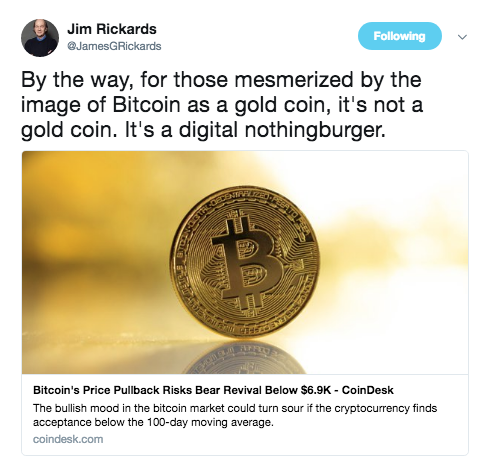 As an organization, we are neutral in terms of Bitcoin's future and merely accept it as a form of payment for bullion. That said, if the long term future of Bitcoin is anything like it’s recent past, describing this monetary phenomenon as merely interesting does it little justice. Bitcoin along with its underlying blockchain technology, may separately, or even perhaps simultaneously become the most important financial innovation in the 21st Century. With original research, Silver Doctors' Elijah Johnson makes the case that Bitcoin is money. Bitcoin is hard to regulate and trace. For this reason, Bitcoin has been used in some circumstances for nefarious purposes. However, this lack of regulation and traceability makes Bitcoin a better medium of exchange in some circumstances than government currencies. Malte Möser, et al, studied how anonymous Bitcoin is and the risks of the cryptocurrency being used for money laundering. Their article concludes Bitcoin is pseudonymous, not anonymous. All transactions are publicly recorded under people’s account number or public key. However, if the account number or public key is not linked to the real identity of the person, then the transaction is in all practicality anonymous. But in this post-Snowden world, we know the government is tracking everything and could figure out our identity, right? Möser, et al, found that it is possible to remain anonymous using Bitcoin. The Know-Your-Customer (KYC) principle, a legal requirement in the United States for financial service providers and some instances even bullion dealers, to validate the identity of account holders. If KYC is enforced, that would make Bitcoin exchanges require personal identification, and therefore, prevent Bitcoin transactions from being anonymous. Yet Professor Malte Möser, et al, experimented with transaction anonymization systems such as BitLaundry, Bitcoin Fog, and the Send Shared functionality of Blockchain.info, and found that the latter two do successfully anonymize the transactions, and therefore, the KYC principle is unlikely to be enforceable. Also, monitoring or controlling how a cryptocurrency is used is nearly impossible since no financial intermediaries are involved. For those wanting to transact without being tracked, Bitcoin proves to be a better medium of exchange than government currencies. Furthermore, Bitcoin can be transferred across some borders more easily than government currencies. For example, getting money into China is easy, but getting money out is difficult. China imposes severe capital controls on currency leaving the country. However, as Forbes contributor Tim Worstall points out, Bitcoin can easily be transported out of China. People can simply buy Bitcoin while their in China and stick it on a thumb or jump drive. Once their out of the country, all they need to do is sell the Bitcoin that is on their jump drive. In fact, it could even be simpler than that. They wouldn't even need a mobile code holding device. One could simply memorize their private key, and one would only need access to Internet to recover one’s Bitcoin's. But this doesn't mean Bitcoin is money. Money must be widely used and also a store of value. But is Bitcoin used enough to be considered a widely used medium of exchange? Bitcoin traded at a volume of $160 billion in 2017. And that's in the same order of magnitude as many countries' GDPs. This is good evidence that Bitcoin is a widely used medium of exchange. Some say Bitcoin is way too volatile to be a store of value. However, many other circulating currencies are also very unstable. If you can see an economic slowdown coming, then you should be able to prepare accordingly. You should not be surprised when your currency’s value is impacted by the economic slowdown. But if your currency’s value fluctuates arbitrarily, then that puts you in a more vulnerable position. For this video I personally ran scientific regression analyses to study Bitcoin and other currency price fluctuations. In technical terms, I saw how well macroeconomic variables, that is U.S. wages, unemployment, and inflation data, were linked to the fluctuations in two different currency pairs: a USD/foreign currency pair and a Bitcoin/foreign currency pair. I used three years of monthly data going back to 2015. I studied twelve different foreign currencies, including the Mexican Peso. Below is a chart showing my the adjusted R squared for the USD and Bitcoin foreign currency pairs. Values closer to 1 mean there was a higher correlation. As you can see, I found that seven USD/foreign currency pairs involving most of the foreign currencies, even the Mexican Peso, were less linked than the Bitcoin/foreign currency pairs were. My study's data (from FRED and Bloomberg) and regressions can be accessed here. The data used in the study is from FRED and Bloomberg and was converted into percentage changes from period to period. It means that people in Mexico and most of the other countries of the currencies I studied would have been better off holding Bitcoin as a store of value than their domestic currency over the study's 3 year timeframe. Although a definitive conclusion cannot be drawn from just one study, my research strong suggests if we are going to consider the Mexican Peso a store of value, then we must also consider Bitcoin as a store of value. We studied previously, there is a strong case to be made that Bitcoin is a widely used medium of exchange. 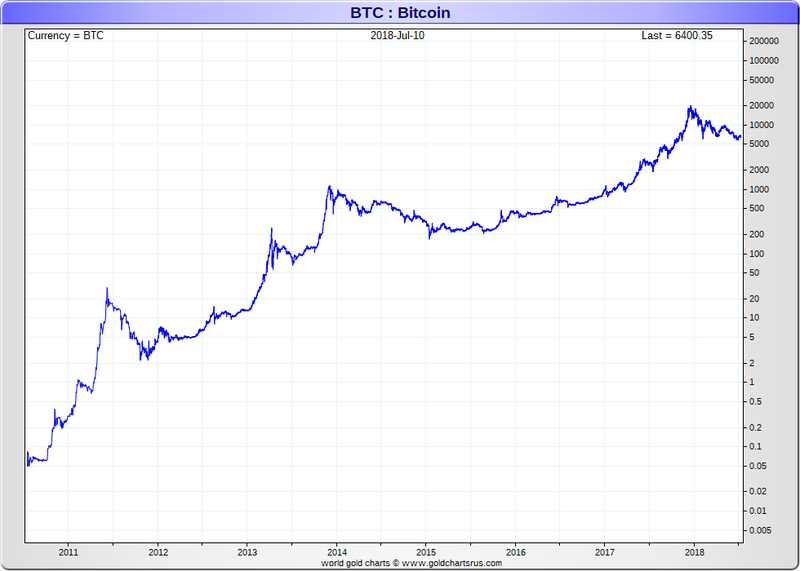 And now we found a similarly strong case for Bitcoin’s status as a store of value. These are the two requirements for something to be money. Monies' circulation can grow, or monies can fall out of use. Bitcoin has the potential to revolutionize the financial system by bypassing older established legacy financial intermediaries in transactions. Because it cannot be fully controlled, it’s up to the Bitcoin ecosystem itself to further prove the technology’s value long term. Whether Bitcoin fundamentally changes our financial system or if Bitcoin becomes just a footnote in the financial and technological history books remains to be determined.